Italian food is my favorite. If I could eat it all day, every day, I would. Give me ALL of the carbs. Luckily, there are some healthier alternatives to satisfy my Italian food cravings. While perusing the clearance section, I spotted a box of pasta from a brand I’d never heard of before. DeBoles Gluten-Free Rice Penne is made with brown rice. DeBoles is Delicious (I’m sorry. I’ll see myself out)! Their website says “wholesome pasta with the cleanest ingredients proudly made since 1932.” The rice penne is made with rice flour and contains no synthetic ingredients. To make it even better, it’s also low fat, cholesterol free, and has zero trans fat. This pasta is also soy- and dairy-free. 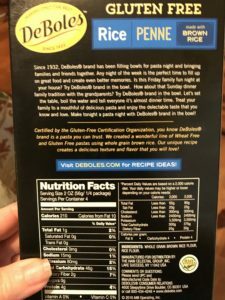 DeBoles pasta is certified by the Gluten-Free Certification Organization. Just don’t look at the carbs. They don’t exist if you ignore them…right? 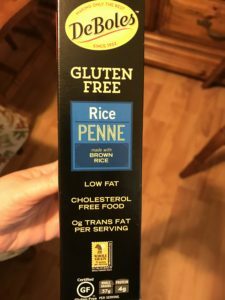 So what does one make with gluten-free rice penne? Glad you asked. We opted for a standard pasta dish to keep it simple. We used rice penne, hamburger, and tomato sauce. That’s it. Cook the pasta for 10 minutes. Drain the noodles and run cold water over them. The noodles were perfect. They weren’t chewy or mushy. After frying the hamburger, combine with penne pasta and tomato sauce. Voila! All done. Let me know in the comments if you make this recipe. Don’t forget to share on Pinterest, Facebook, Twitter, and Instagram (and be sure to follow GFS on all of those platforms). You’re welcome! Let me know if you make it & what you think! 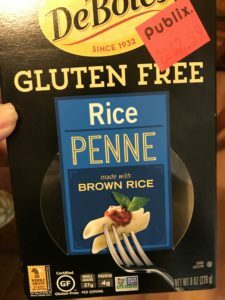 I am a huge fan of different varieties of pasta and have recently switched to red lentil flour pasta but it has a little grainy texture so I must try this one! I haven’t had red lentil flour pasta before. This pasta has a smooth texture and tastes really good! I found this at Publix, but also saw DeBoles at Healthy Home Market as well. Let me know if you end up making it & what you think! I promised myself I would start sometimes serving my family gluten-free products. We’re not really allergic to anything. I just need to be more aware of what goes into our diet. Many of the gluten-free products taste good too. You usually can’t tell a difference. This recipe seems like such an easy meal. It really is! It’s perfect for when you want something quick and easy and still healthy. My mother in law eats gluten free. The next time we have her over for dinner, I’ll see if I can find this. I hope you can find it! It’s really good! 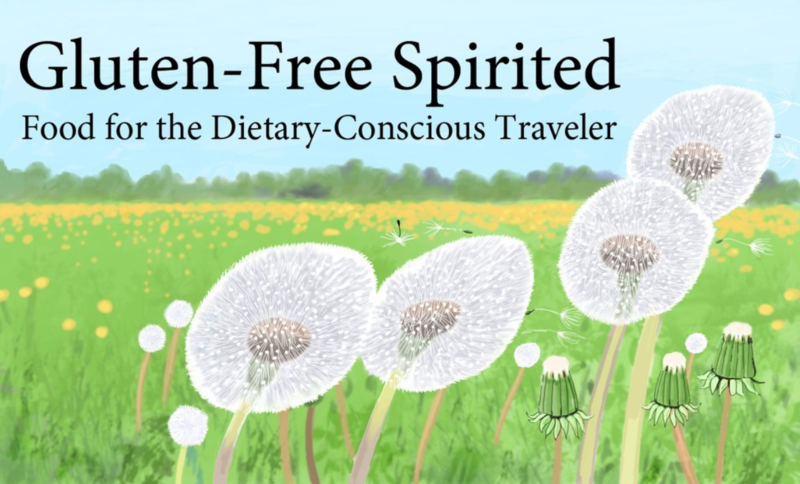 I discovered about two years ago gluten-free food actually tastes pretty good. 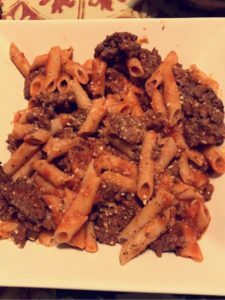 Love that you created a gluten-free, healthy penne pasta recipe! Most international people think Italian food is unhealthy because is full of carbs. But of course, they mainly talk about pizza and pasta. And… what pizza and what pasta… loaded with fat cheese instead of true mozzarella and fat greasy sauces that are not how Italian usually eat their pasta. Honestly if you look closely the italian diet is not mainly carbs. That is what people choose to eat, because people like carbs. Which has really nothing to do with food’s nationality. You make a very good point, Nati. I’m referring more to the Americanized versions of Italian dishes which aren’t very healthy in most cases. I think if more people used authentic ingredients, we’d have much healthier (and probably better tasting) Italians dishes. Looks like the dish turned out great! Gluten-free is the way to go. nice to have so many gluten free options.